There was a short article near the back of the most recent Coat of Arms from The Heraldry Society (England) that caught my eye. After checking it out, I thought it was something that I simply had to share with you. 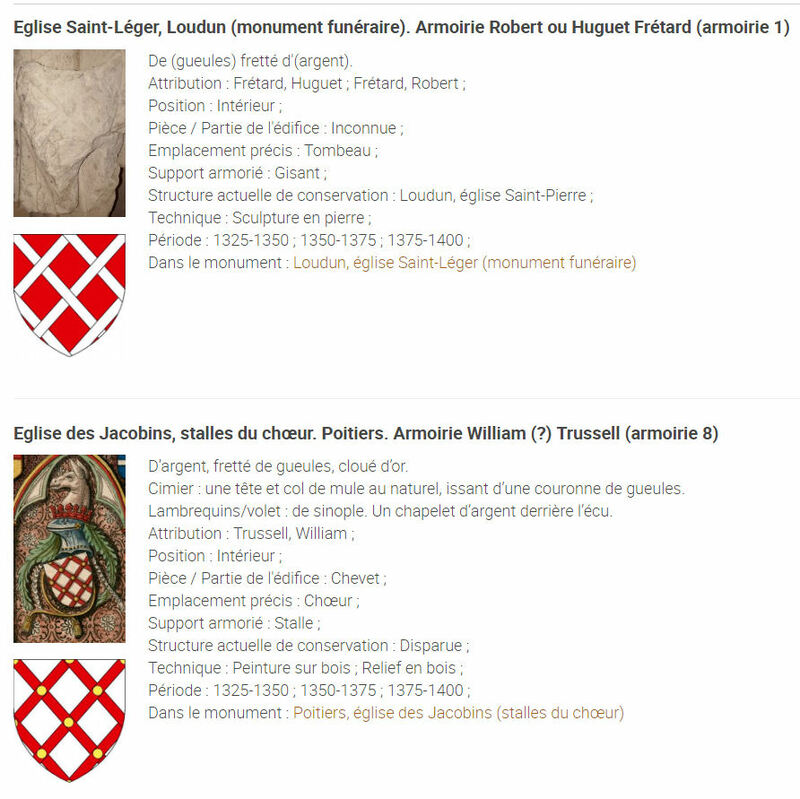 It's the website of the ARmorial Monumental du Moyen Age (ARMMA), the work of Laurent Hablot, consisting of searchable database of coats of arms, with photographs and/or drawings, from 1200 A.D. to 2000 A.D. on monuments in the area of Poitiers, France. The entries on the ARMMA website can be searched in several different ways, though to be honest I have spent most of my time going through them "Par période." Anyway, I thought this was a really great site, and thought you should know about it. 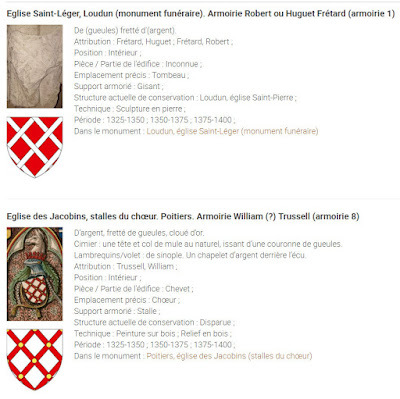 It can be found on-line at http://base-armma.edel.univ-poitiers.fr/, and I have already added it to the listing of "Some Good On-Line Armorials and Ordinaries" section of links in the left-hand column of this blog. Enjoy! May you spend as many (or more) hours as I have already have there.